Today we woke up to temps as low as the 40's in the upcountry area, and a little bit of snow on the summit of the volcano. 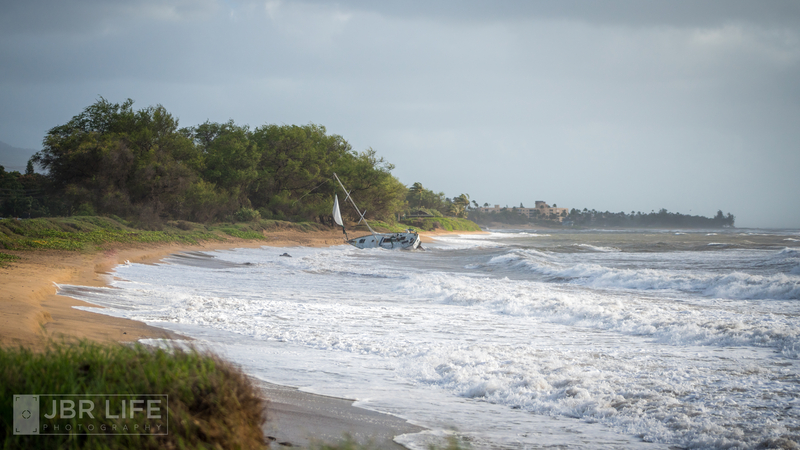 It's been blowing Kona wind all weekend, and supposed to continue through tomorrow. 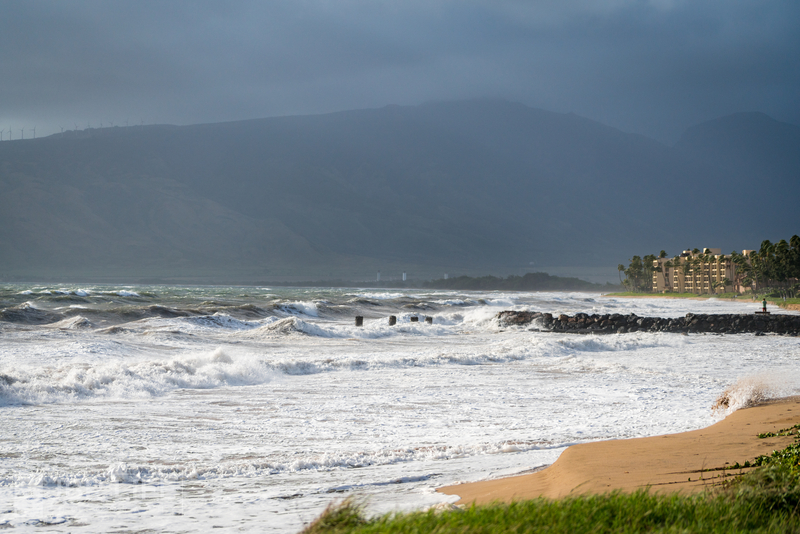 Oh, and there's a huge swell being pushed at the same time, with projected surf up to 60ft, but so far we haven't seen it quite that high...still around 30ft on the north shore, which is plenty enough. 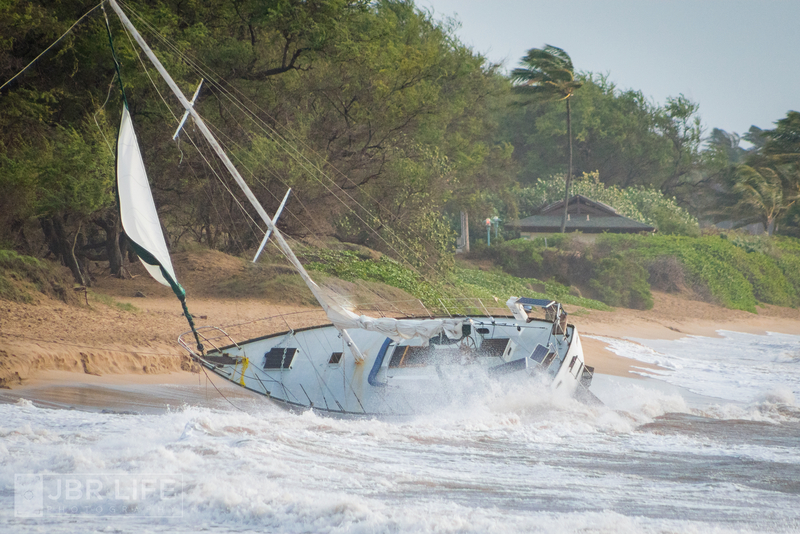 On the drive home from the west side, I saw a boat having a rough day, stopped for pics. 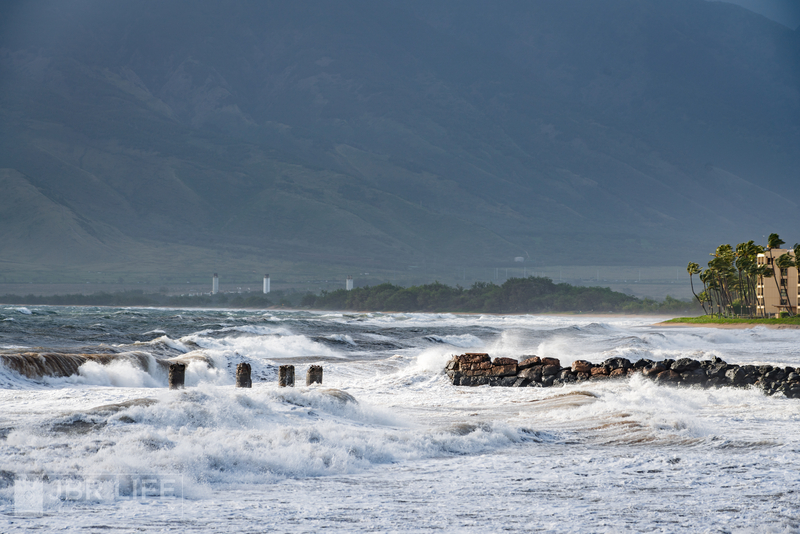 Then of course, made sure to look behind me and glad I did, as I snagged a few frames of Kihei pier getting smashed by waves! Enjoy & stay warm, wherever you are. 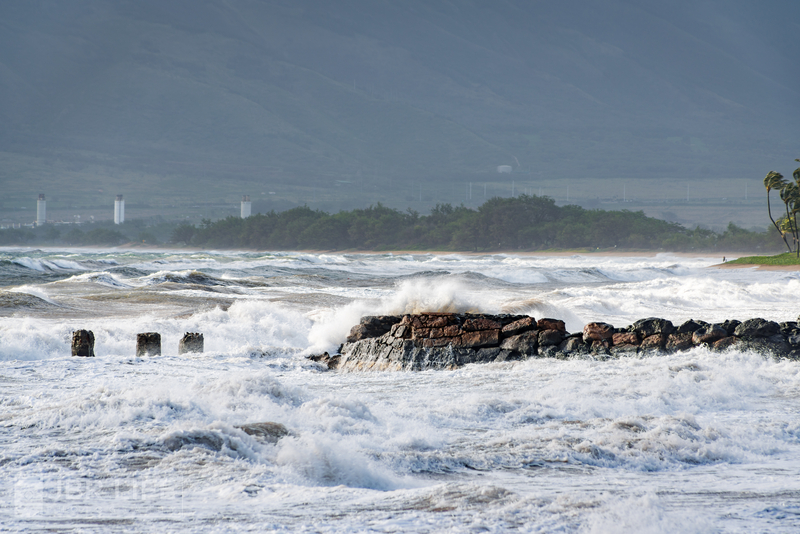 I can only imagine how cold it is on the mainland right now!